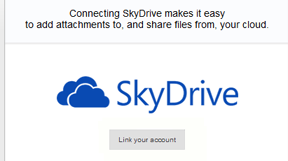 Now interconnectivity between Skydrive and Gmail is easy and made possible by Microsoft and attachment.me, it is done using an add-on suitable for Google Chrome and Mozilla Firefox. You can actually access your Skydrive files using Gmail account id. All you need is to add Skydrive extension (called attachment.me) inside your Chrome browser. The similar add-on is available on attachment site for Firefox. Access Skydrive using Gmail account. Easily access files in-between accounts. Save Gmail attachments to Skydrive easily. 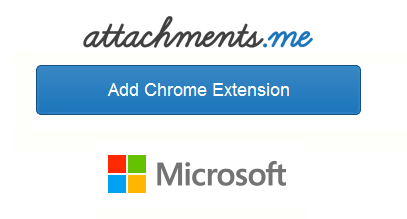 Once you click on "Add Chrome Extension" on attachment.me site, you need a Gmail account which will be used to access SkyDrive data. Click Allow button on Gmail login page. Next, click on the link your account. Once add-on installed, you can decide the path to save and share files from a particular account. Such as if you wish to compose an email, it will ask options such as "Share from Skydrive" or "Send files to Sky drive & share".